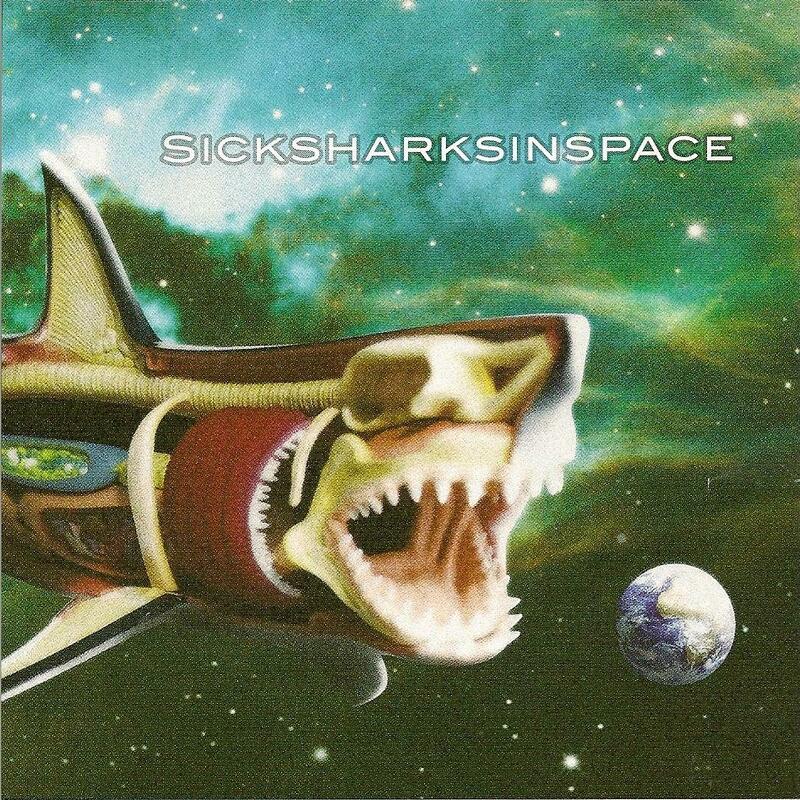 Sick Sharks In Space - "Sick Sharks In Space"
Lovers of tongue-twisting alliteration, Sick Sharks In Space are a four-piece outfit from Switzerland; this self-titled CD released on Black Rills Records is their recorded debut. English internet links to the band are pretty sparse, but they appear to have formed in 2002, with influences including early Pink Floyd and a dash of King Crimson. Somewhat disarmingly, their press release describes album tracks such as Kir(s)che and Download as showing "a discreetly catchy charm"! Confusingly, the tracks on this all-instrumental album are listed in a different order to which they appear when the disc is played through iTunes on a computer, making it difficult to know which track is actually playing at any one time. For example the cover lists the first track as Iceberg, whereas it appears as RIP on the iTunes listing; either title would be equally appropriate for the doomy feel of this particular piece. Comparing track times from the CD with those featured on the band's myspace page reveals the listing on the cover to be the correct one. Shadow, the second track, opens as a sparse affair before launching into a heavy-rock riff that ebbs and flows across its five minute duration. On this, as in other tracks, the emphasis is more on musical integration than any flashy soloing. The six-and-a-half minute Kir(s)sche follows in a similar pattern, building up to some fine guitar riffing, while Fist In Face is a two minute burst of hard rock. The album's centrepiece is the atmospheric Sonar, which spins out to a slow-building nine minutes of guitar-based rock, periodically reining itself in. Jagdmusik (Der) Hirsch rocks steadily without ever getting really straying into heavy metal territory, a description that could be applied to the album as a whole. Sick Sharks In Space is an interesting album that never quite fulfills its promise of twin guitar hard rock. Having said that, it is as lacking in any musical pretention as its name would suggest, and holds plenty of the promised catchy charm for those who would like to explore.